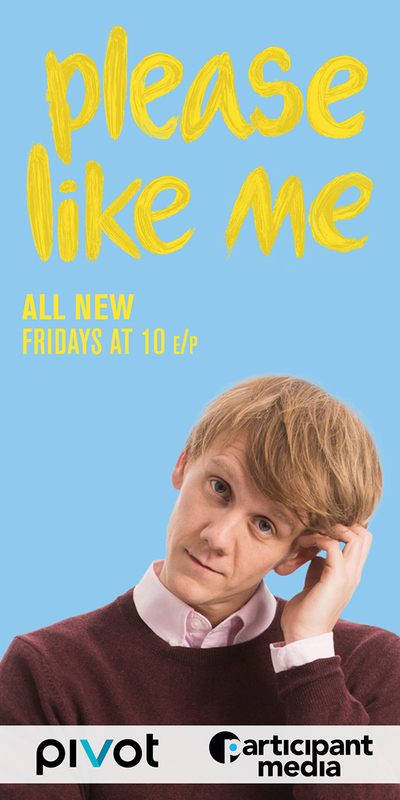 Please Like Me is an Australian television comedy drama series starring Josh Thomas. 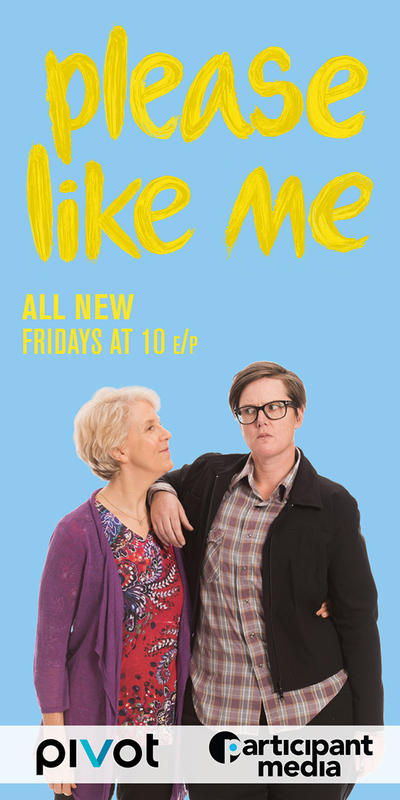 The series premiered on 28 February 2013 on ABC2 in Australia. 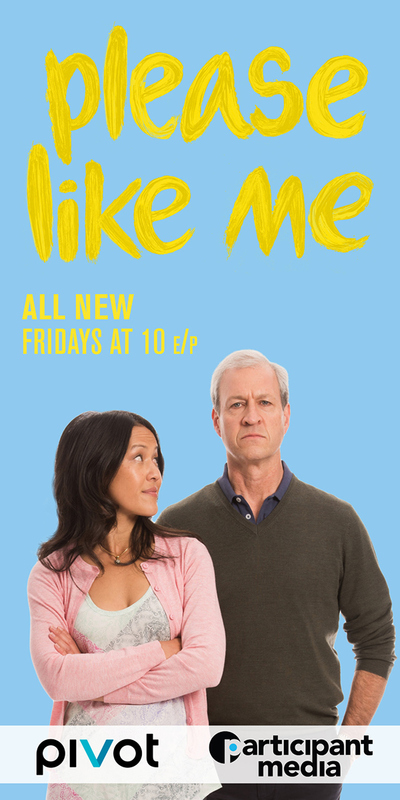 The show explores realistic issues with humorous tones; the executive producer Todd Abbott had pitched the show as a drama rather than a situation-comedy series. 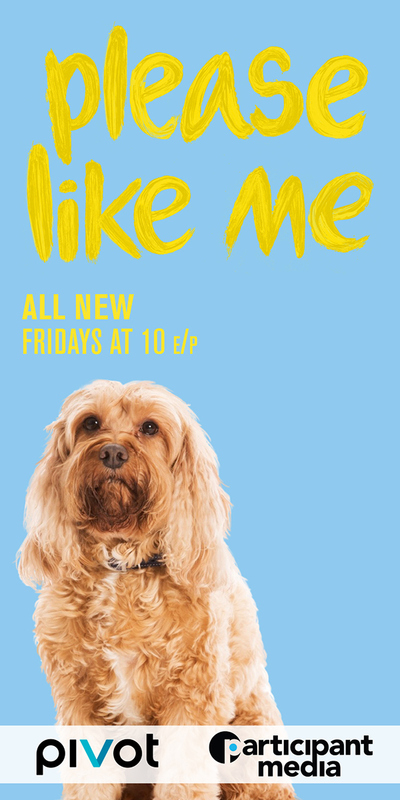 The show aired later on the United States network Pivot, which then helped to develop the show from second season onwards. 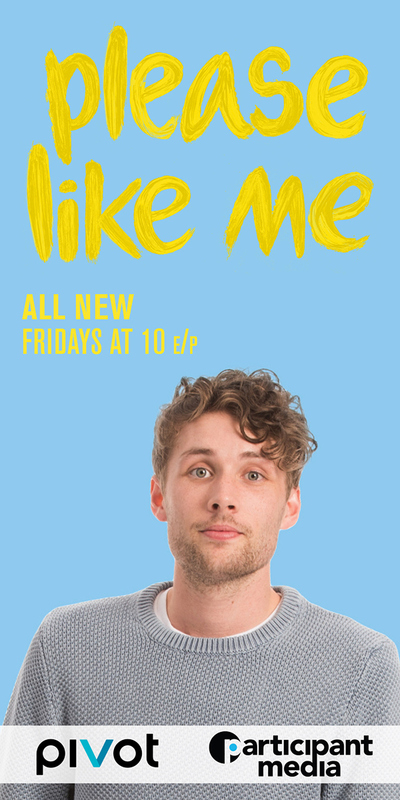 On 12 July 2014, it was announced that Please Like Me had been renewed for a third season that began on 15 October 2015; 16 October in the United States. The show has attracted praise from critics and has garnered numerous nominations, winning eight awards. 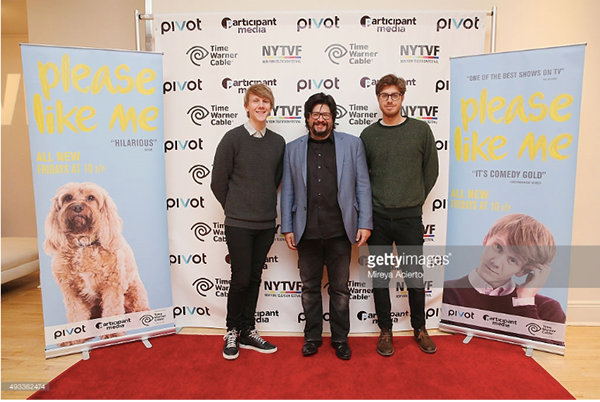 Josh Thomas, Kent Rees and Tom Ward attend the artist welcome & 'Please Like Me' screening during the 11th Annual New York Television Festival at Helen Mills Theater on October 19, 2015 in New York City. 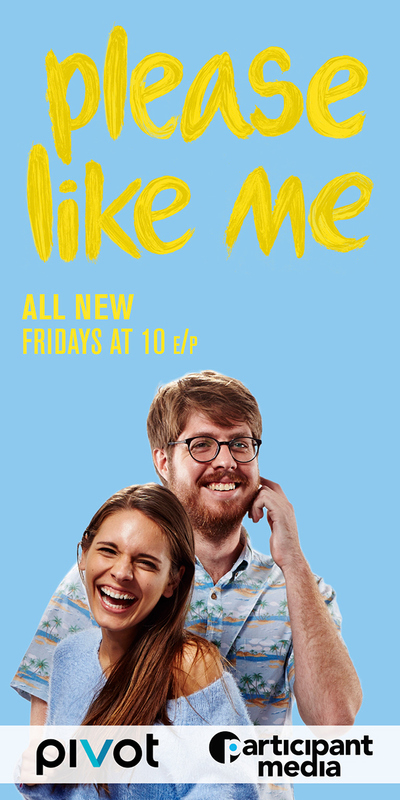 "Please Like Me" TV Show banner design. Pivot. Participant Media.